If you're thankful and you know it clap your hands. If you're thankful and you know it your face will surely show it. If you're thankful and you know it stomp your feet. If you're thankful and you know it shout "I AM!" If you're thankful and you know it do all three. You take your right wing out. You do they Turkey Pokey and you turn yourself around. I'm a little turkey, fluffy and round. I've got feathers on my back. Five little turkeys standing by a door. One waddled off and then there were four. One waddled off and then there were three. One waddled off and then there were two. Two little turkeys in the noonday sun. One waddled off and then there was one. For soon will come Thanksgiving Day! The holidays can present a lot of fun literacy opportunities. 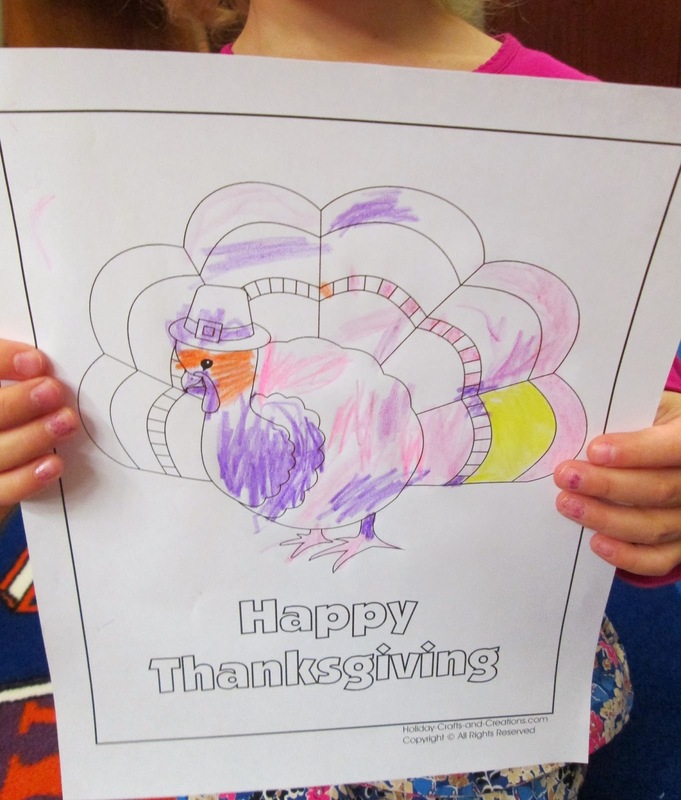 For instance, you can have your child make holiday cards to practice drawing and writing skills. You could also involve your child as you cook or bake. Pointing out words in recipes and matching them to labels on the ingredients is a great way to develop their knowledge of print.